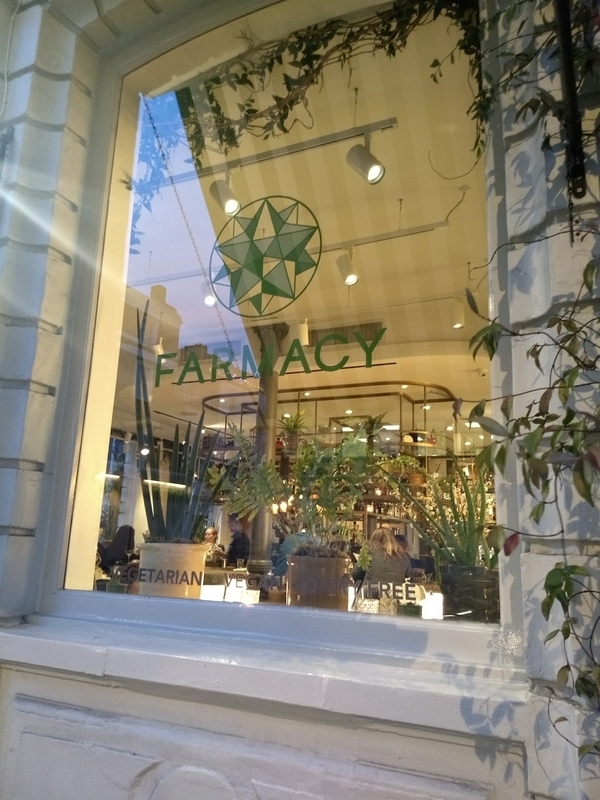 restaurant review #179 – Farmacy is a vegetarian restaurant on the north side of Hyde Park. We had already passed by Farmacy during our Summer visit to London in 2017, but then we had already eaten at nearby restaurant Redemption. 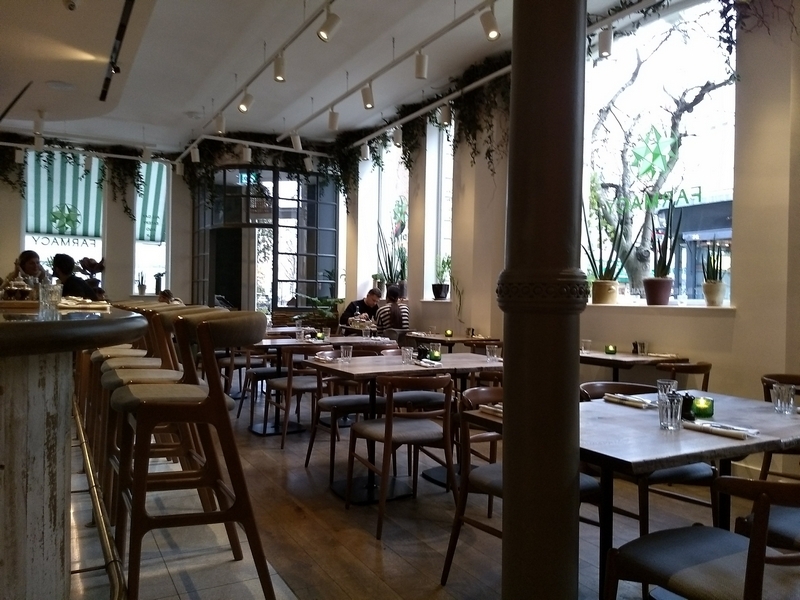 Farmacy has a no reservations policy, which I find very unfortunate. I often avoid going to restaurants with a no-reservation policy, as I have mobility issues (sometimes use a wheelchair). When dining out, I will always try to make a reservation, as I want to be sure I will have a spot. It is not so easy to navigate in a fully packed restaurant. 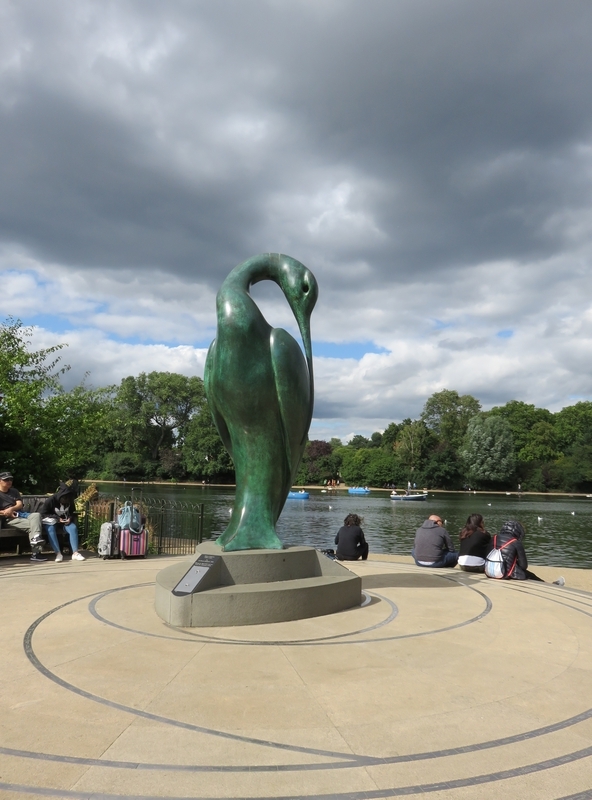 And if one is met with a long queue and not sure how long it will last, it is for me also not always possible to decide last minute to go somewhere else (especially if vegan options in that region are not so abundant). We took our chances and went for an early dinner, and luckily, were one of the firsts in the restaurant. 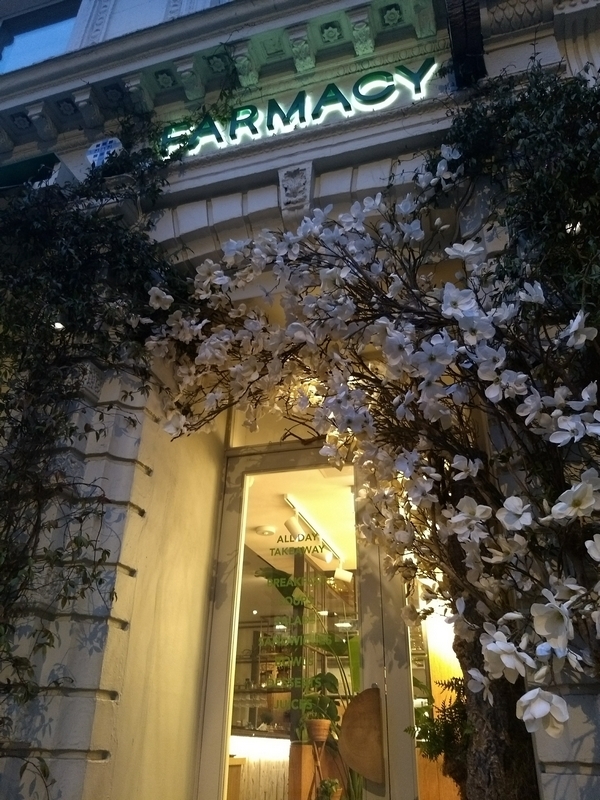 Farmacy is a nice place. It has a ‘natural’ feel, with lots of wood used and a wooden floor. The bar is central in the restaurant, with high bar stools. Vegan and glutenfree options are clearly indicated on the menu (nearly all menu items are vegan). We had a cucumber cocktail (with gin, £10), which turned out to be a very strange combination. 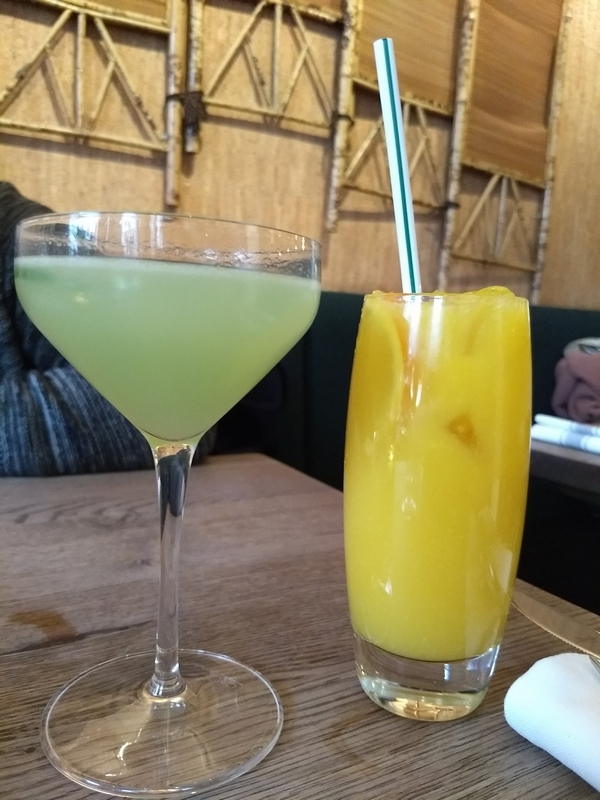 The orange juice was nice (£5). 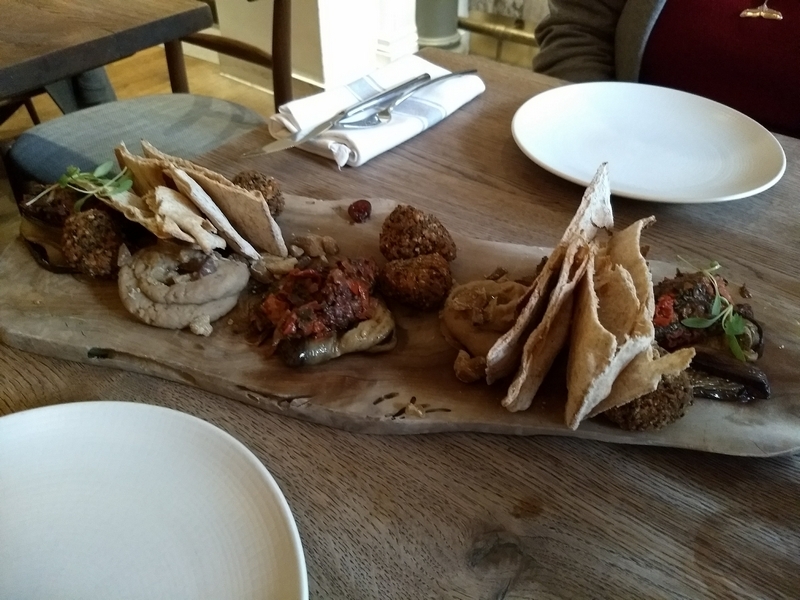 The mezze platter as a starter to share was very good (£16). As main dishes we ordered the calzone (£13,50) and the pizzetta (£11). 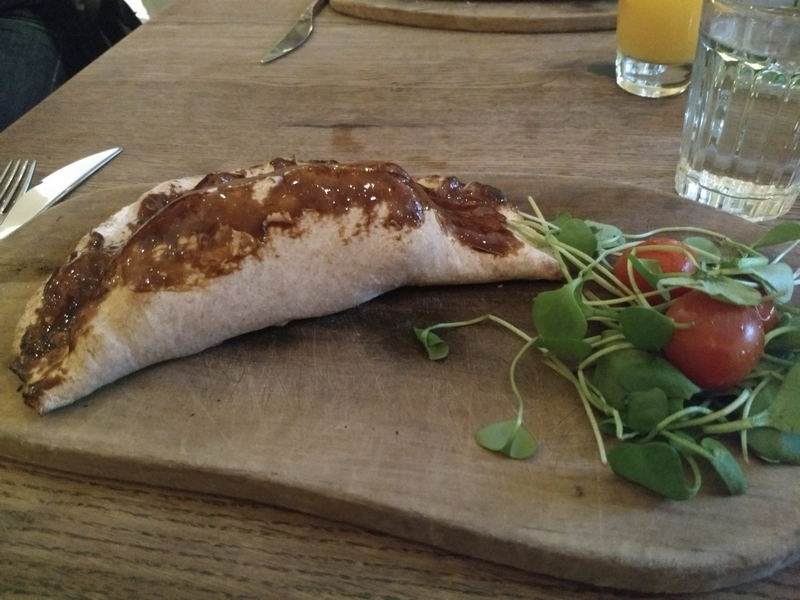 The inside of the calzone was nice, but it was ruined by sweet brown sauce on top (which wasn’t mentionned in the menu description). What an odd combination! I ordered a small pizza (normally an appetizer), since I was already stuffed. The pizzetta was nice. While we were there, the restaurant soon filled up, and it became very loud! Really bad accoustics, we could hardly understand each other. As we were stuffed anyway, we did not fancy staying for a dessert. Farmacy is wheelchair accessible. The restaurant is on the ground floor, no step and there is ‘room’ to turn, when the restaurant is not full. 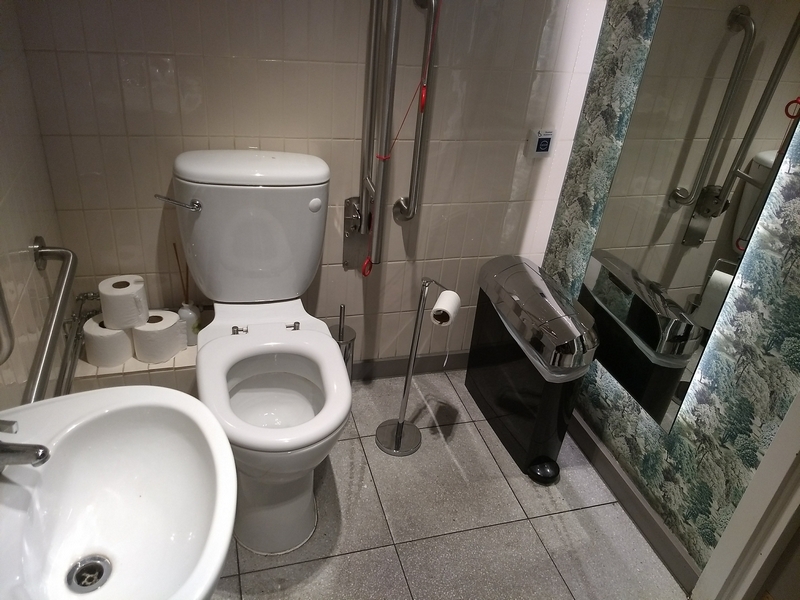 There is an accessible toilet on the ground floor (other toilets are downstairs). Toilet was clean and tidy. 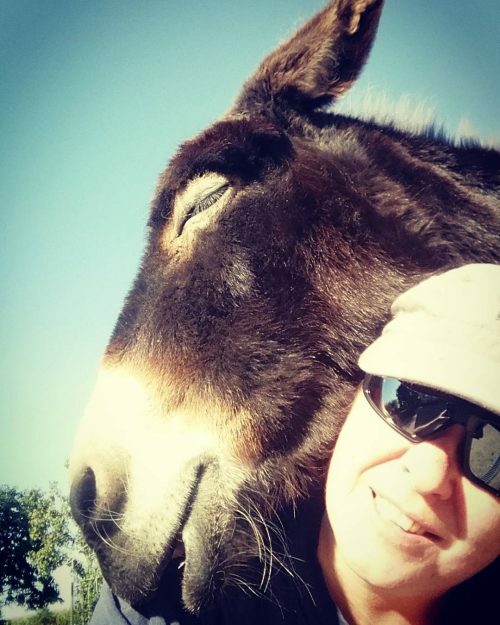 The website of Farmacy mentions a quote by Hippocrates: Let food be thy medicine and medicine be thy food. 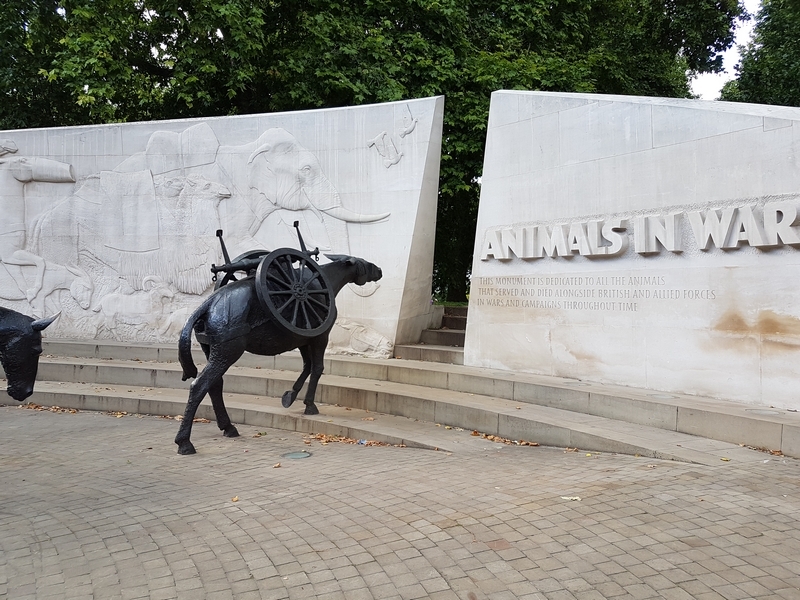 Together with the name of the restaurant, and some options on the menu (eg drinks as ‘syringe shots’, which come in actual syringes), this fits in the idea of advertising vegetarian/vegan food as ‘healing’ and medicinal. Although many studies do point to the health benefits of a vegan diet (or rather, of a plantbased diet, and even more specifically, a whole foods plantbased diet), there are however also many other factors that determine one’s health status. And many people do rely on actual ‘medicine’ to survive. 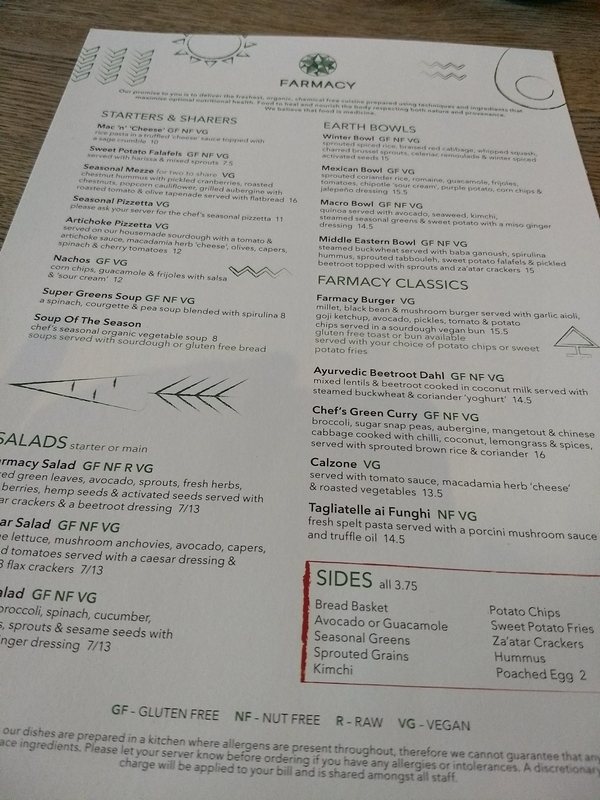 Farmacy also serves some food items that absolutely do not fit in the idea of the ‘healthy’ vegan diet (eggs, alcohol, fried items, ..). 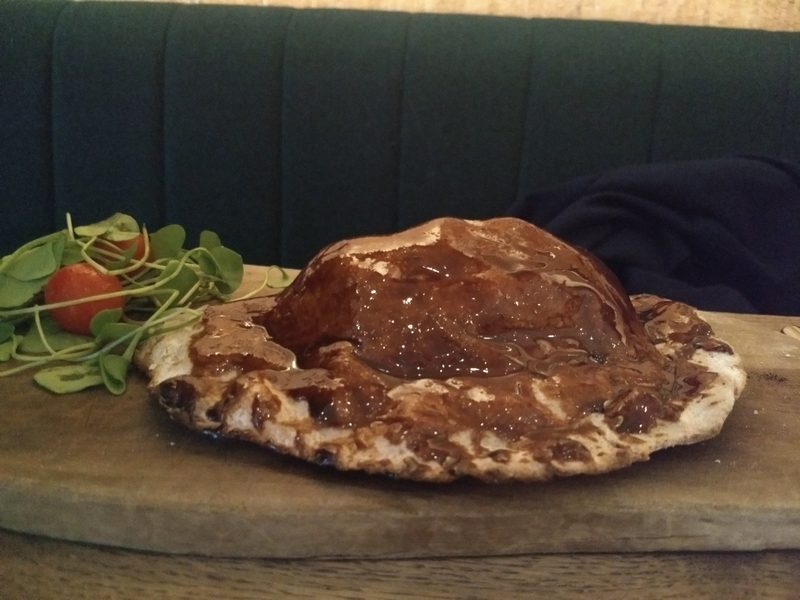 All in all: we had a nice dinner (but that brown sauce on the calzone was a definite no-no!). 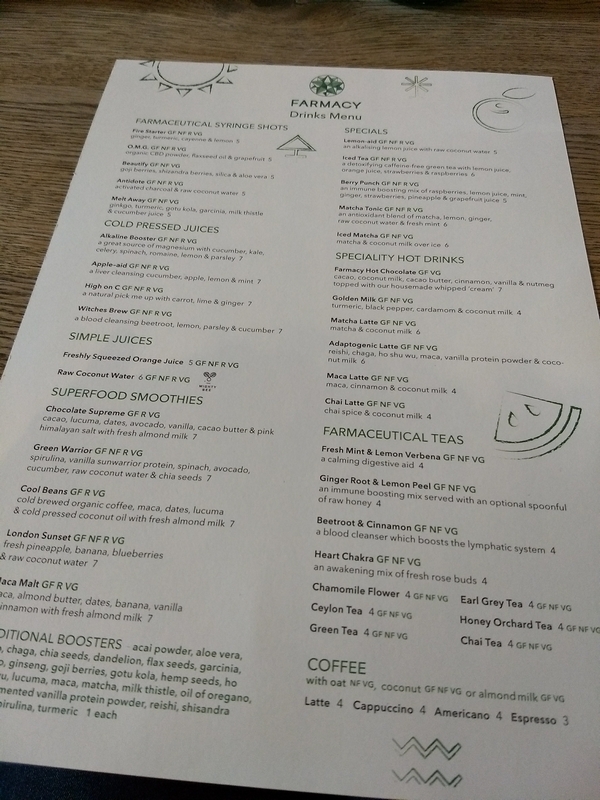 The service at Farmacy was swift and very friendly. The food was on the expensive side though, and a service charge of 12,50% was already added to the bill. We had a nice dinner, but we were expecting something a bit more fancy. 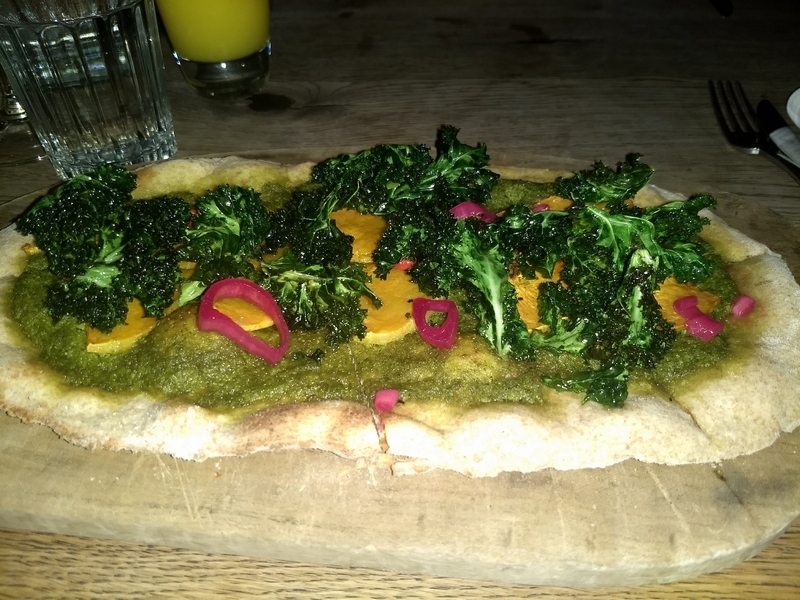 That brown sauce looks ‘interesting’… as does broccoli on the pizza. Next PostFirst Vegan Street festival in Brussels!